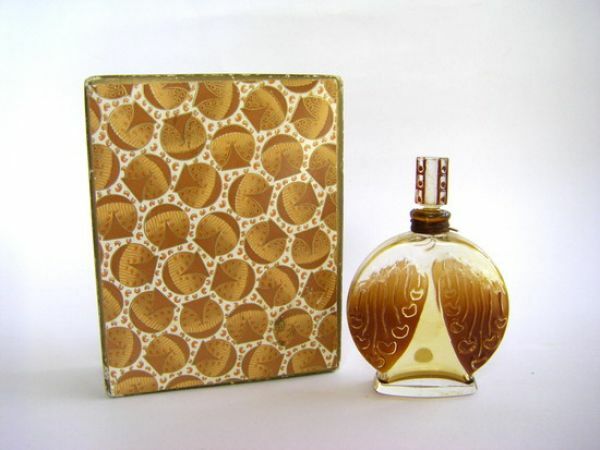 Toujours Moi - Always Me is the translation for this well known perfume first introduced about 1924. I believe the design for the bottle was by Lalique but don't quote me. The bottle measures 9.5cm to the top of the glass stopper and it rests in it's velvet lined box. I like this very much. I think this bottle dates from the immediate post war period.